In a number of areas around the country, fish species like cam­ouflage grouper, red salmon cod and hump head wrasse have become extinct. Minister for Fisheries Semi Koroil­avesau highlighted this issue while speaking to villages in Yasawa yes­terday. In a talanoa session at Yalobi Vil­lage, he said these fish species have become extinct because of overfish­ing. In iTaukei villages, camouflage grouper is known as ‘kawakawa’, the red salmon cod as ‘donu’ and hump head wrasse as ‘vari voce’. These are some of the most com­mon fish species that are consumed by many in the country. “In some places in Fiji, you can­not find these fish species at all. The problem is that people will start fish­ing for these species during their breeding season and it’s usually when the catch is high because that’s when the female species need to feed themselves,” Mr Koroilavesau said. 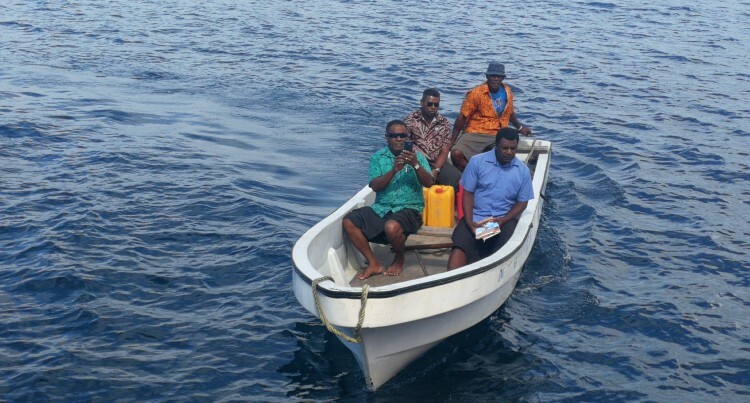 Director of Fisheries Aisake Bati­basaga said the breeding season for the camoflouage grouper and red salmon cod would start from next month until September or December. For the hump head wrasse, he said their breeding season starts from Oc­tober going into December. “The reason why we will put a stop to the consumption of these species during their breeding season is be­cause one fish can produce between 700,000 to 1 million eggs. We need to save them,” Mr Batibasaga said.